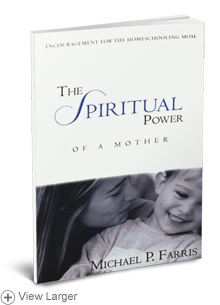 Michael Farris has received many letters from homeschooling moms on various issues where mothers need encouragement. The Spiritual Power of a Mother contain some of Mike's answers to those questions. From Yvonne Imergoot of Kempner, Texas on 8/27/2018 .